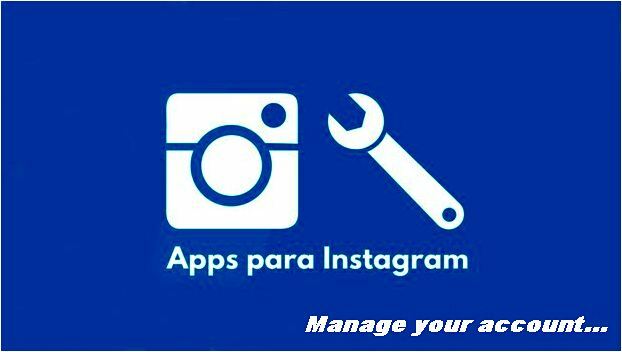 One of the main aspects that we must keep in mind if we want to be recognized users in Instagram, is the correct management of our account. In reality, the most important thing is not to have a large number of followers or contacts, but rather the interaction we have with them. Fortunately, keeping track of our number of followers, the impact of our publications and the success of our content today is much simpler, as there are multiple applications that can help us do this. Some of these are available free of charge on the Internet. Below, we will talk a little more in depth about some of them. Have you ever wondered why you have so many followers, but why only a few like it in your messages. Have you ever wondered who’s not following you at Instagram? 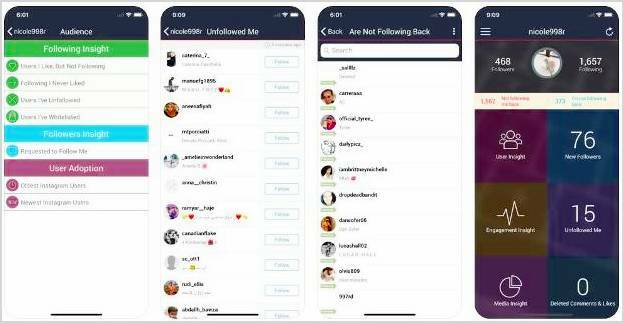 If you’ve asked yourself these questions more than once, then Ghost Unfollow For Instagram Cleaner IG Trackers is the perfect application for you. This unique analysis tool will monitor your last 100 messages, and discover fans who don’t interact with your messages. Tracking of phantom Instagram followers (users who do not interact with your messages). Tracking and removal of users who followed you and decided not to follow you anymore. Verify and manage your Instagram followers. Verify who is following you and who is not following you. Check the new followers, the lost followers. Verify your best and worst followers, as well as the most popular publications. This app is available for iOS operating system and is free of charge. This app is free and available for multiple operating systems. With Websta we will be able to obtain multiple statistical data that will be of great help to us, since we will only have to register and after 24 hours we will be obtaining very interesting statistics of our profile. Some of the most important data that this app offers us are the analysis graphs, which help us to determine the real impact of our publications, including the number of followers who saw them, the number of likes they received, and the evolution they have achieved over time. There is also a version of this application which is designed specifically for computer, this one offers us the same options and possibilities of the original version, but we can use it from our computer. This is an ideal alternative for users who do not have a mobile device. This is one of the most practical applications of this type, it allows us to easily manage our Instagram account, we will also be able to see who has stopped following us. One of the most striking aspects of this app is the large amount of information from our followers that it offers us. At the same time, Iconosquare evaluates the overall performance of our account, as well as the increase of our followers. But that’s not all, as we will not only be able to carry out this evaluation on a weekly basis, but also in real time, which will help us to better understand the movements of our Instagram account. Another of the possibilities offered by this innovative application is the measurement of likes and comments obtained by our publications. We will also be able to know the extent and impact that our labels are capable of achieving, even show us the times of greatest user connection, to know the right time to publish content. However, the function that makes this application more interesting is to be able to see which users are our direct competitors in Instagram; this way, we will be able to know the movements made by a total of seven competitors. If you don’t know exactly who your followers are, don’t worry, because this application can help you do it. How did you like these four Instagram applications to manage your account? Did you know them… or use others? You know, if you want, you can leave us a comment just below and tell us your doubts or experiences regarding the use or operation of these apps. Thank you!